Tips to Winterize Your Intimidator UTV | Intimidator Inc. There is no doubt that winter is here. With plummeting temps reaching far and wide, you may be considering storing your UTV for the winter. Before you call it quits until spring, check out these tips to help you winterize your Intimidator UTV. It’s always a good idea to clean your UTV on a regular basis. 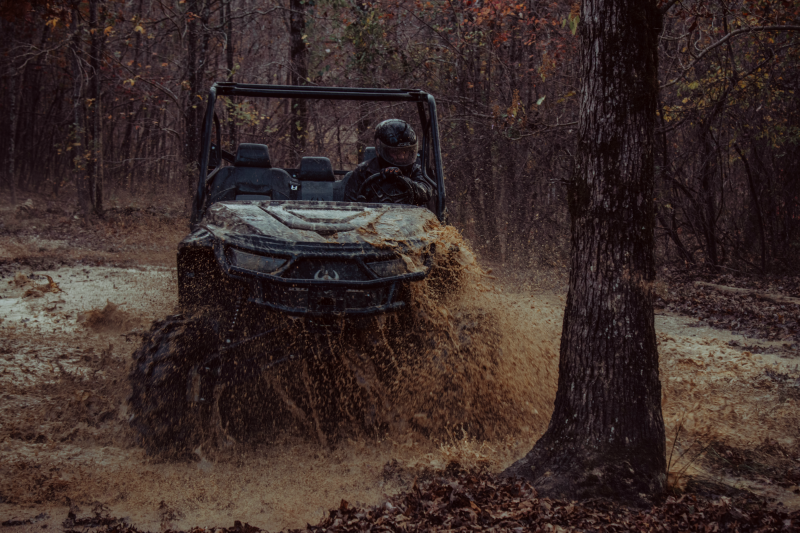 And when it’s time to store your ride, it is an even better idea to give your UTV a thorough cleaning from top to bottom and everywhere in between. Cleaning and detailing your ride will not only make it look great, but it keeps mud, oil, and other “gunk” from causing deterioration of your exterior surfaces and other components. When washing your Intimidator UTV, it is advised that you wash by hand or with a low-pressure garden hose. Using a high-pressure washer can cause damage to certain components of your UTV. You also want to use clean, microfiber cloths when washing and drying the vehicle. Don’t be timid. Get into all the little spaces with a toothbrush and don’t forget about the undercarriage. Intimidators do come standard with underbelly metal skid plates, but it won’t hurt to make sure that mud isn’t caked on them. Once your Intimidator UTV is clean and dry, you may want to use a tarp or specialty UTV cover to keep it nice and clean until you are ready to ride again. One of the biggest concerns when storing any vehicle is the possibility of rodents and other small animals getting inside and causing costly damage. In order to keep these animals out of your side-by-side, you can tie plastic bags over the exhaust pipe, the CVT intake, and the CVT exhaust. Not only will this keep critters at bay, but it also helps to keep excess moisture from getting inside. • Remove the battery and store it in a dry place away from freezing temps. If you are concerned about the battery staying charged, you can always hook it up to a trickle charger. • Put boards or cinder blocks under tires. You also want to make sure you put the correct amount of air pressure in your tires and double-check pressure before you start riding again. • Change oil and oil filters. This can keep dirt and debris from the old oil from settling in the engine. • Change the air filter. • Add fuel stabilizer to fuel and top it off. • READ YOUR INTIMIDATOR UTV OWNER'S MANUAL. Your manual holds valuable information for your specific vehicle. It can give you even more details about storing and maintaining your Intimidator UTV. 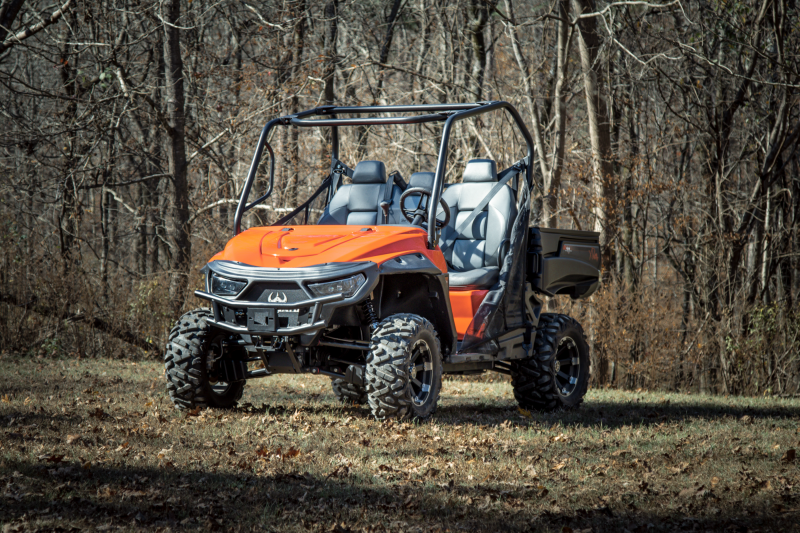 Whether you are getting ready to store your UTV for a few months or shutting it down for the winter, these few tips can help your Intimidator UTV run smoothly season after season. If you have questions or if you need help with changing the oil, you can always contact your Intimidator UTV Dealer. 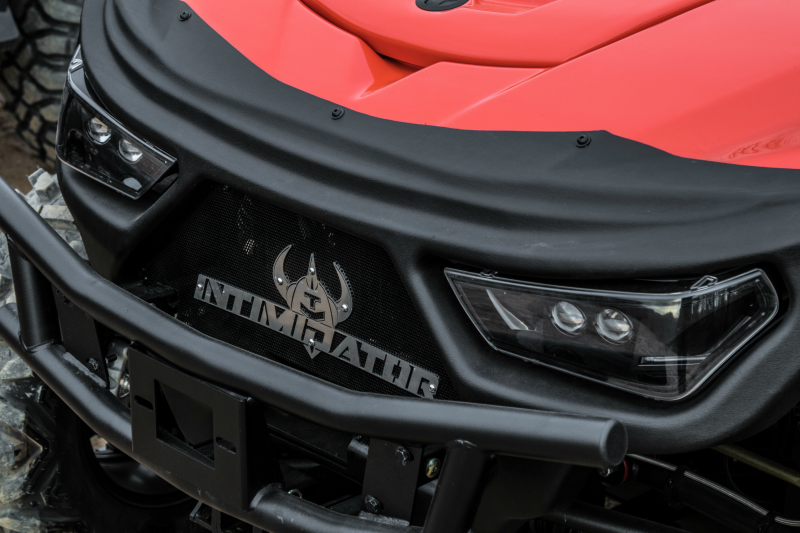 For more information about Intimidator UTVs, specs, models, and more, visit our website at www.IntimidatorUTV.com. Ready for an upgrade? Now is a great time to visit a dealer near you to check out new models and find the perfect ride that fits your lifestyle.